We are in the middle of redoing this entire website! Please excuse our mess. Julie and her Mom asked me to photograph the both of them last summer. She wanted a more journalistic set of images vs their usual posed ones. 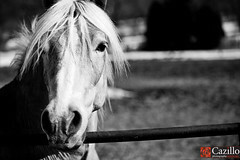 I photographed this horse at a friend's farm. He just happened to be hanging out close to the fence and I created this photo of him. This photo just happened! It was a journalistic image just before the wedding ceremony while the bride was talking to her bridesmaids. 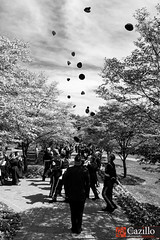 Graduation day at Valley Forge Military Academy in Wayne Pennsylvania with all of the grads tossing their hats after the ceremony. 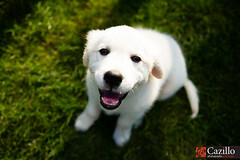 Cutest puppy you have ever seen! 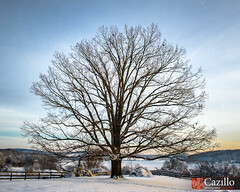 Winter tree photograph, PRINTS ARE FOR SALE. 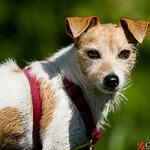 This little Jack Russel Terrier makes up for her size with her engergy and personality! What makes a great photographer? Being able to see the final image in your head, having the skill to create it, and the patience to wait for the perfect moment in time to capture it. Greg and his staff of professional wedding & portrait photographers have been creating amazing images for over 20 years. We have traveled to New York City, South Carolina, even Texas (just to name a few) to photograph weddings and events. 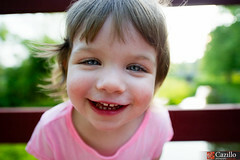 Having grown up in Chester County Greg knows his way around and the high level of photography his clients expect. We are Professional Photographers and Creators...miles above average when it comes to the memory you would like captured and preserved forever. In terms of a wedding the cake will be gone, the dress never to be worn again, the kids ever growing & its impossible to get ALL the family together again. This is a once in a lifetime event: don't trust your memories to anyone but us. Wedding photography, events, even family portraits can be reasonably priced, contact Greg today to find out how. More about Greg.